Sometimes you get a Holy S**t moment that really throws you for a loop. Last night, I got that reading the @dstors White Paper. What was originally just an online store based on the Steem blockchain ends up being a lot more. @dstors is a platform that is being erected on the Steem blockchain that will bring buyers and sellers together. This is very similar to what companies like Amazon or Etsy do. However, their goal is not to be an ecommerce platform. In fact, their desire is to create the new "dcommerce" platform. Their goal is two-fold based upon the present market. Encourage the adoption of cryptocurrency as a means of commerce and not just a store of value. Create an incentive platform whereby both buyers and sellers are rewarded for conducting business together. The second one, by the way, is the Holy S**t moment. @dstors logic is simple: ecommerce went as far as it is going to. There is little room for innovation based upon the existing structure. Something new has to be created and that "new" is cryptocurrency. The basic essence of cryptocurrency (aka crypto-economics) is to provide incentive to individuals. On their platform, both buyers and sellers will be incentivized AFTER the transaction is complete. Ecommerce cannot do this. Once a transaction is completed, time to move onto the next one. After the transaction is completed, both parties will be rewarded in STORS based upon a variety of criteria used to determine one's standing on their platform. Following the flow chart mirrors almost all online transactions right up to the point of "transaction completed". I highlighted the area where @dstors is different in the blue box. Now we see that area blown up and added to. There is an immediate market for the STORS. One can opt to cash out using the Bitshares network or the coins can be used to get upvotes on one's posts on either Steem or Whaleshares. The first option means turning the STORS into any currency on the Bitshares network while the second one means converting it, via an upvote, into STEEM. Holy S**t. Did you see how they included the "upvote economy" in all this? In the white paper they gave an example of a $250 purchase earning 75 STORS which would be worth an upvote of about $45. Of course, this will depend upon the price of STEEM in USD but I like the example. Even if the upvote is not worth close to 20%, say it is 10%, that is above and beyond the transactions conducted. Hence, the seller get a 10% bonus on top of whatever profit was in the deal. At the same time, the buyer gets 10% in addition to any discount already received. And what did that cost @dstors? Nothing since it is all a part of the circulating ecosystem they are creating using the upvote which is part of the content/reward system inherent on Steem. Can you imagine if Amazon gave 10% to both the buyer and seller on each purchase made? It would not take an advertising genius to promote that. The lack of feasibility shows the limitation that ecommerce has. It now is time to open up dcommerce. They are issuing 250M token, 21M which are available in the early stages. The above charts shows it. There is a delegation program which requires a 6 month, continual commitment. They have different layers spelled out in the white paper which I suggest everyone give a going over. Here is the link for the white paper. This is a really exciting project. After reading the white paper, I delegated some SP to them. I think this is one of those breakthroughs that could really revolutionize the way things are done. I hope all take the time to read the white paper to get a better grasp upon what is planned by this development team. I think the tagline on the front of the white paper about sums it up. I have to give them credit, they are thinking big on this one. If you found this article informative, please given an upvote and resteem. Pictures taken from @dstors white paper which is linked in article. I met the creator of Dstores at Steemfest, he seemed to be a good guy. The issue I have is that Ebay is full of well tested scam tactics that have only been remedied by a large and well funded team of support staff monitoring everything and getting involved. From what I gather, the system here relies on perhaps downvoting as a deterrent, which itself relies on large SP levels, so initially the system might be plagued by scams. The classic one is that I set up a puppet account and then sell you a laptop. You pay for it into the escrow system and then I send you a house brick via a courier. Once you open it and discover I have scammed you, we have no way to know/prove who is lying .. So who gets the money? I'm actually not sure how ebay resolves this - but I do know that when I got caught out by a similar scam a long time ago (before ebay evolved) they basically shut my account down even though I was the victim. It's a messy problem and I'd love to know of a novel way to fix it using the blockchain.
. You pay for it into the escrow system and then I send you a house brick via a courier. Once you open it and discover I have scammed you, we have no way to know/prove who is lying .. So who gets the money? In India Amazon delivery people needs an OTP after the buyer verifies the item. Only then the delivery is marked as completed. I think now they are also taking the photos of the item delivered. This is applicable only in the case of high value items. But there is another much simpler mechanism - paypal. This payment method protects the buyer while sellers are practically uncovered because if you file a claim which is reasonable then they usually either block the funds or just reverse transaction. But you are right that dealing with such messy issues requires a large number of staff to handle all customer service issues and I don't really see how blockchain would tackle that. Fair enough, though how the police would handle it and prove anything - unless there is a bunch of evidence they can dig up - I don't know. If this had a straightforward solution for a Steem based version of Ebay, I would have probably already created my own version! Most of the time we wouldn't really buy anything if we had such a doubt though - so in reality people don't tend to open in the presence of the courier (that's if the courier even meets the recipient at all). It's good that most people are honest - but in a way that just improves the scope for the 'bad' people to move within - in relative safety and trust. Hey @ura-soul. While I have thought of measures for damage control, there's something that I believe above all else: most people are good. agree with @pibyk - I want to attract people who will take their existing business online with @dstors and I really doubt that many would want to jeopardize and scrutinize their business, which takes a lot of effort to promote and estanblish, just for a single scammy transaction. sure, it will happen - dealing with humans here, but we will have full time people watching for "bad actors" - it should be doable. If you ever have your own suggestions or ways you can help improve the experience for everyone, then please get in touch with me on discord or steem.chat - I'm always listening for good offers of solutions. Thanks man. Aloha. Thanks for your response here. There are actually entire regions of the world that Ebay won't allow to use their services - even within otherwise accepted nations. For example, there is a particular region of Mexico that Ebay simply will not deliver to - despite actually allowing the users to transact.. I discovered this last year and it is not public information - they tell you only when you query why the international shipping program won't work properly. My point is that generally thinking that 'people are good' is a huge denial of the reality that there are large and highly organised gangs of fraudsters operating online - they are like locusts in fact! I will think about solutions, though I imagine there are only so many and Ebay probably has found the optimal ones for a system that doesn't include a blockchain. I imagine a blockchain based improvement would incentivize checking somehow - perhaps paying couriers a bonus for the service or something like that.. but that might be complicated. Actually, Ebays solution is not good for the seller, which was why I quit selling there many years ago. The buyer is believed every time and will often end up with your item and their money back. The worst (yes, it was the final straw for me) is when after all of that, the crooked buyer leaves you a negative feedback and dings your stars. Many who stayed have to charge more to the honest customers to compensate for the guaranteed theft that Ebay allows from the buyers. I didn't have the temperament for it and minimized sales to face to face. Has taskmaster ever replied to you btw? I frequently want to comment on these but notice he doesn't seem to acknowledge anyone's existence hence I don't bother. I guess dstores is just as dependent on trust in ur example. PS - I noticed you just got an upvote from Rancherelaxo. Wonder if times are changing there?!? After reading one of your earlier pots on @dstors I also have delegate some SP to them... Everyone can do this too. Awesome idea, hope @dstors get this up and running soon. Can't wait to make a transaction on dcommerce platform. Thanks for sharing the info. Very good review of why @dstors is going to rock! This is exactly why I delegated 1000 SP to them. They are going to change the e-commerce game up and help cause explosive growth on the Steem blockchain! @taskmaster4450 I just Delegated to this because of the things that you pointed out and what is even better is that platforms like eBay may have a tough time competing with the likes of @dstors since like you mentioned neither Amazon nor eBay give their customers anything of Value. Sounds interesting indeed! More use cases definitely helps the ecosystem expand beyond the blogging platform it orginated from. The continued development toward a more broad community that includes products and services is great for the Steem economy as well as it could provide continued demand for stake! this is an interesting new thread on how steem expand to each platform, this innovation will have a new future to maximize the market ecosystem. Thank you for your post @taskmaster4450 I resteemed it and actually viewed it after seeing the resteem by @dstors. Will @dstors being issuing a Steem-based SMT or are they doing an ICO through Bitshares? I hope they are going the SMT route with @steem so that we don't experience the same thing we experienced with DLive. The White Paper says they are doing a SMT once that becomes available. Their goal is to be one of the first ones to use the protocol. They are using Bitshares, I presume, in the meantime. Yes, exactly this. Thank you. I like the concept. A lot of shoppers love the idea of being rewarded with some kind of points for doing business. But what exactly gives value to the STORS tokens? Why would anyone purchase them if they are available for free? Like anything else, the value lies in the ecosystem that develops. If they have a shopping platform with tens of thousands of stores and hundreds of thousands of transactions a day, that is a lot of commerce. Each transaction, presumably, will have STORS tied to it. This means there will be other uses evolving for it. Plus, with the upvoting economy, STORS are the path to greater upvotes. Each transaction, presumably, will have STORS tied to it. This means there will be other uses evolving for it. It would be great to have some kind of a vague idea what they could be. I'm asking because this is important. There has to be an economic model that makes sense for this and other apps to work in generating value. Thank you @taskmaster4450 for this amazing write up about our project. It is nice to see the excitement building from the community and you are doing an amazing job to show people why they should be excited. We will do our best to keep everyone updated on the progress of @dstors. It is my pleasure. After reading your white paper, I felt this had to be shared with the community especially with all the FUD that is going around. The community needs to know there are projects they can support right now which have the potential to change how parts of the internet operate in the future. Going from ecommerce to dcommerce is a big one and can radically change things. I hope a boatload of delegation follows this article to help you move toward your goals. This is amazing !!! and also very helpful.I like the concept of store tokens. buy why should anyone buy it if you will get it for free? @taskmaster4450 what an informative article! I am so interested in this platform and this concept. I'm already so pissed at Amazon for their great rip off in putting their HQ in NYC and Washington DC that I have no use for them. Bring on the dstors! There is a delegation program which requires a 6 month, continual commitment. That seemed a bit odd to me at first but I did a small delegation after I realized that a lock up like that might be a good model for dApps going forward. 3 of their SMT’s for each SP locked up for six months might be a great deal or it might be a pittance. Really no way to tell at this point. I was just reading through the whitepaper after I read your article and I am a bit confused on the delegation protocol, maybe you could clarify it for me.. I see that there will be 3 different categories A,B,C for delegators and I understand that you have to delegate for at least 6 months but what I don't understand how often we will get paid. As an example if I delegate 100sp in category a would I receive 300 dstore tokens at the end of the 6 months or would I get 300 dstore tokens per month for 6 months equaling 1500 dstore tokens? We will be releasing the delegation campaign within the next few days that will outline this in more detail. 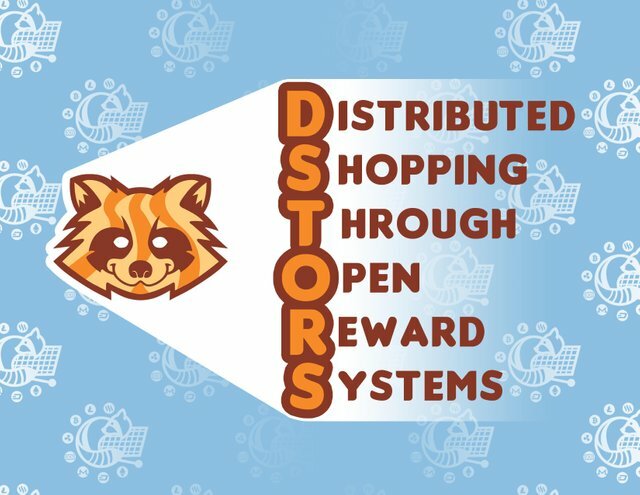 But category A is for the early delegators, and they receive the biggest bonus of STORS tokens rewards for their delegations. All SP delegators will continue receiving ratio payouts with every 6 month time of delegation. Hey @derangedvisions, thanks for the answer. I read the white paper so I understand that portion of it, I was just trying to clarify the amount of tokens I would recieve as a delegator. Let me ask it in a different way: If I delegated 100sp in Round A, how many STORS Tokens would I have acculated (after the 6 months)? 300 STORS or 1500 STORS? You have a good point @moderndayhippie. We can payout 50% in 6 month installments and 50% after six months. I will add this detail to our delegation round a. So, on the 1st of each month, everyone gets the installment. tagging @arunava @thebluewin as this answers their concern also. @kaliju this option of Installments sounds a lot better. I just delegated 100 SP to @dstors. Thanks, I like that and will delegate in a few days, when I have enough SP again. The project sounds really promising! Sounds like an interesting project. I haven't gone through the entire White paper yet but the one thing that is kind off jumping out at me is the fact that if we delegate SP to the project then we have to wait 6 months to get those tokens. I agree with you. 6 months is too long at the moment in my opinion. Thank you @taskmaster4450! Prolific article. People need to see this. How can we get in touch? Please ping me on Discord if you use it at kaliju#9824 or let me know the best way. I have to agree. It jumped out at me right away. Where I am from, Raccoon's tend to be relentless bothersome critters in the wild. Tenacious, ingenious trouble makers! Not an ideal image for what seems to be a great idea and concept for sure! Maybe @dstors can help us understand why they'd choose this image as their brand? There's an interesting story behind the logo, but think of it this way: one man's trash is another man's treasure...when people shop, they essentially resemble the behavior that of a raccoon, digging through stuff until they find exactly what they're looking for. A deserving article on all accounts! 별 말씀을 요. 백서를 읽은 후, 나는 특히 주변을 돌아 다니고있는 모든 FUD와 함께 공동체와 공유해야만한다고 느꼈습니다. 지역 사회는 현재 지원할 수있는 프로젝트가 있음을 알아야하며, 이는 향후 인터넷 부분이 어떻게 운영 될지를 변경할 가능성이 있습니다. 전자 상거래에서 dcommerce로 이동하는 것은 큰 일이며 근본적으로 사물을 바꿀 수 있습니다. 나는 여러분이 목표를 향해 나아갈 수 있도록이 기사를 따르는 많은 파견단이 있기를 바랍니다. WOW! This could be huge! Just the mere fact that you can actually make money while buying something has got me hooked. Great Info, thanks for the post! Yes! I love when people see the value proposition instantly! We will deliver. Firstly, I'm not sure exactly what the native token of use will be on your platform for buyers and sellers to transact in? Your diagram actually shows USD! Round A delegators get 3Stors per SP, so 100SP gets 300 Stors in 6 months time. 100SP right now is worth $33 USD, but you also suggest after a transaction of $250 USD value, there would be 75 stors given away worth a $45 value upvote? So each 100SP delegator will get 300 Stors worth 4 x $45 upvote a total of $180 USD worth!! Where is the SP to back all these upvotes coming from ? Thirdly, Your commission model is old hat. The biggest Online retailers in Asia charge 0% commission to sellers, but make money from selling promotion, how about transaction costs? Sorry but your white paper is poor and leaves more questions unanswered than answered for anyone wishing to make an investment decision. No mention of funding ? How much is the team fronting up ? I'm sorry but until schemes like this get serious about business plans and providing transparency to would be investors, the crypto movement will sadly never be taken seriously. And with typical greed, all people here appear to be interested in is how much they will get!! And as for the logo and graphic design.....seriously!! Finally, a lot of people trust respect Taksmasters opinions, but no-where does it say this post has been sponsored by Dstors. Transparency matters. It wasnt. I wrote this post like I do any other post. The fact they decided to promote it was done on their part. The content contained in the post come from the white paper and my own conclusions. There was no direct contact between myself nor anyone from @dstors until the comments were being placed. Sorry, I didnt word that correctly. I hadn't intended to suggest shenanigans on your part @taskmaster4450. I think it was a bad move on their part boosting it without mentioning it in a comment or something, not because of the value, your posts are worth every cent but just for the transparency. Another show of naivety though I'd suggest. I noticed they read my comment though and declined to address my points which is a shame. Hi @nathen007, thank you inquiring. Please tag me directly next time you want to learn something about @dstors and I'll be happy to address your concerns. All values will be displayed in USD as standard at first. You will see how the UI and UX experience of it all will allow you to see respective values in crypto equivalents. The seller will be able to choose and accept certain cryptos according to their will and that will be converted from USD to crypto upon a sale. Buyers will be able to use credit cards and paypal as an option as well. This will depend on the free market and was used to give you an idea only. The SP part is precisely why we will be running a delegation capaign as well as investing heavily in steem ourselves. Comission model is part of our business plan targeting investors and we've had top-tier business analysts reaffirm our approach as one that will be profitable. I would appreciate it if you could show proof of existing 0 commision models with incentivized layer as what we're doing here for the community at @dstors. Funding is done through the community (sp delegations) as well as our own belief in crypto mass adoption (steem)and commitments to the steem blockchain from investors that we will be bringing on board from off-chain. That's really good, in my eyes. I believe the whitepaper did address a multitude of valid points that do not qualify to be labeled as "a scheme" - this project is well on its way to become the catalyst for steem mass adoption and then crypto in general. We are here to give - it is well understood that taking steemit from blogging to business entitles one to extract something of value out of it. @dstors is here to provide that value. The logo, I talked about it in one of the replies below. Tanuki's represent financial freedom and prosperities in many of the cultures you may not be familiar with, like in Japan. Your behavior, when you shop, resembles that of a tanuki - you're digging for deals - looking for something valuable until you're ready to take it. The prices that our sellers will be able to offer compared to competitors, because of crypto rewards off-setting costs, should be understood clearly. We liked the eloquent description of @dstors by @taskmaster4450 and he seems to see the value proposition for the steem blockchain here. We decided to reward his excellent writing by investing into his blog post for all to see. I'm glad you found it, too! I hope to see you use the platform in the future and if @dstors can create an extra economic opportunity for you, @nathen007, then our mission is complete. Every online shop offers some form of incentivistion to both buyer and seller, For 0% seller commission models look no further than Lazada and Shoppee. I wasn't using the word 'scheme' as a derogatory term or to suggest it is anything other than legitimate...scheme is a common word to use for any plan! I understand what a Tanuki represents, my comment was on the logo and graphic design, not its subject. I simply think it looks amateurish and awful for the given context. I think it an error of judgement to have bumped up the post like that, I think it looks scammy and again creates a non professional approach. Again, simply my opinion. I honestly think your white paper is poor, lacking in detail and I simply can't make your numbers equate. Despite you consulting 'top tier' business analysts, no one suggested without serious funding you would struggle. Again just my opinion from someone looking at this from an investment point of view as to its profitability or even ever getting off the ground. Interesting where have you found the involvement of hajin? Mmh good to know I was considering to delegate but I think I will wait and see if this project is worth it. Haejin is not necessary a red flag if you consider his big Investment into Steemmonsters Gold Cards and SM is now one of the best Apps on Steem. lol, your turn now. Which big investment into Steemmonsters? Well not a turn don't get me wrong I totally disagree with his practices here on Steem, but it shouldn't be the only criteria to decide if I invest or not. Yes he did invested over 8 or 10k into Steemmonsters when they released the Gold cards. Everybody was shocked and thought he would buy up the whole market but as we know now he overpaid for most of the cards and is still holding them. I'm sorry you feel that way about the project. Thanks for your time. Your UA account score is currently 6.151 which ranks you at #258 across all Steem accounts. Your rank has improved 23 places in the last three days (old rank 281). In our last Algorithmic Curation Round, consisting of 280 contributions, your post is ranked at #4.